Product prices and availability are accurate as of 2019-04-18 19:02:06 UTC and are subject to change. Any price and availability information displayed on http://www.amazon.com/ at the time of purchase will apply to the purchase of this product. 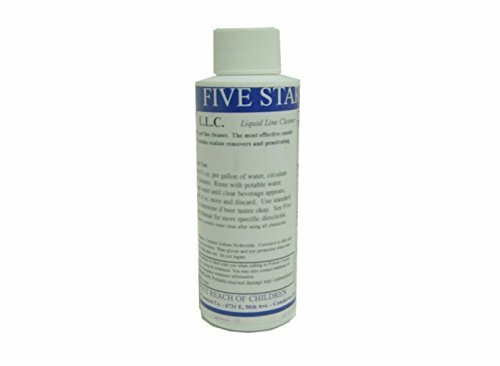 Five Star 4 oz. Liquid line cleaner. A proprietary blend of caustic cleaners with chelators and surfactants designed to wick into beverage lines and completely remove beer and beverage soils. This product is only eligible for ground shipment within the contiguous United States.